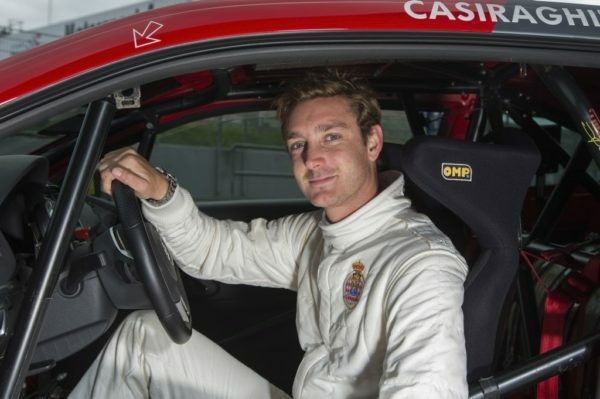 Pierre Casiraghi will make his debut as a racing driver when Hockenheim hosts the first race weekend of the 2014 Scirocco R-Cup from 2 to 4 May. The son of Princess Caroline of Hannover took part in tests in Oschersleben in preparation for his first race. Casiraghi has previously only ever competed in the traditional vintage rally in Monte Carlo. “It has always been a dream of mine to drive in a real race. It is what every young boy dreams of. However, this is actually the first time I have ever taken my place in a professional racing car and headed out onto a real racetrack. It is a completely new experience for me,” said the 26-year-old. Having said all that, Casiraghi does have speed in his veins: in January, he and his sailing team set a new world record for the stretch from Cape Town to Rio de Janeiro. The idea of inviting him to make his debut on the Volkswagen Scirocco R-Cup came from racing legend Jacky Ickx (69). 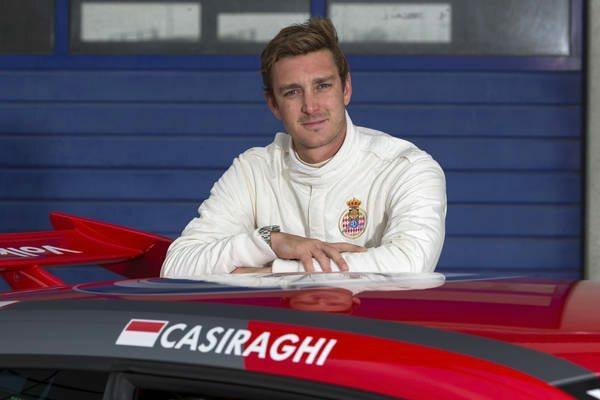 The Volkswagen ambassador was on hand during the tests to assist Pierre Casiraghi, who he has known since his childhood. “Jacky helped me the entire time. We travelled to the circuit together and he explained every single corner to me. That was really very helpful for me,” said Casiraghi. Jacky Ickx, whose successes included eight Formula One Grand Prix victories, as well as winning six times the iconic Le Mans 24 Hours and the Paris–Dakar Rally, will assist his protégé on the race weekend in Hockenheim. He will assist Casirgahi together with Monagasque race driver Stéphane Ortelli, Winner of the 24 hours in Le Mans and Spa-Francorchamps. Pierre Casiraghi owns several cars: “They are almost all old though, as I am a big fan of vintage and classic cars. They are mainly Italian, including an old Fiat 500. My only modern car is an Audi RS6.” He will now have up to 285 hp under the bonnet when he lines up in the Cup-Scirocco.